Rent a single stroller for your visit to the park. 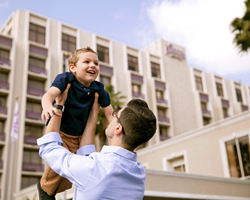 Price includes a $5 deposit that will be refunded when you return the stroller at the end of your visit. *Stroller rentals are not available for Soak City Waterpark. Rent a double stroller for your visit to the park. Price includes a $5 deposit that will be refunded when you return the stroller at the end of the day. *Stroller rentals are not available for Soak City Waterpark. Rent wheelchair for your visit to the park. Price includes a $10 deposit that will be refunded when you return the wheelchair at the end of your visit. Limited quantities available. *Wheelchair rentals are not available for Soak City Waterpark. Rent an electric wheelchair for your visit to the park. Price includes a $10 deposit that will be refunded when you return the wheelchair at the end of the day. Must be 18 years of age to rent and operate at the Park. Limited quantities available. *Wheelchair rentals are not available for Soak City Waterpark. Keep your valuables secured all season in 2019 when you add All Season Locker Rentals to your 2019 Gold or Platinum Pass. For one price, get one standard size locker rental at the Knott's Berry Farm OR Knott's Soak City Lockers each day you visit the park. Only valid for 2019 visits. Only available to Knott's Gold and Platinum Passholders. If you wish to cancel a mobility rental reservation it must be done at least 24 hours before your reservation date. No refunds for cancellations made after 10 AM on your reservation date including cancellations for inclement weather. To cancel your reservation please call (714) 220-5252. Mobility rentals must remain inside the gates of the theme park at all times. Guests must present their rental e-voucher at the Stroller Shop in Ghost Town on the day of their reservation to receive their mobility rental. You must select a specific date at the time of the reservation; this date cannot be changed once a reservation is made. Park admission is not included with mobility rentals. Mobility rentals are subject to weight, age, and other limitations. Yes, because the system checks the barcode of your Pass when you redeem, this program is only available to Season Pass Holders. Unfortunately, there are no Platinum options for this program. 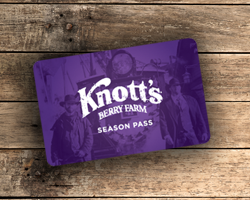 The Season Pass Locker Rentals will only be available at Knott's Berry Farm at this time. Please empty your locker prior to leaving the park. All lockers reset overnight and will be issued to a different guest the following operating day. Items left in the locker overnight will be removed and taken to the main information center. 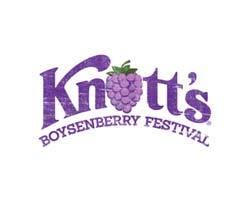 I plan to visit Knott's Berry Farm in the evening after Knott's Soak City closes. Will I still be able to access my locker? You can obtain a locker at Knott’s Berry Farm after you have discontinued use of your locker at Soak City. Can I get a locker during Scary Farm or Merry Farm? Your Season Pass Locker Rental is only good once per day, per park, so you will not be able to move your rental after you redeem for the day in either Knott’s Berry Farm or Knott's Soak City. 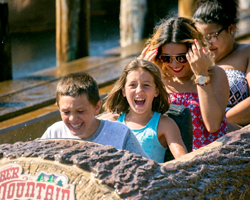 You can redeem a Knott’s Berry Farm Locker after Knott’s Soak City has closed for the day.